Anyone who visits me here regularly probably knows that I have myself a small collection of reusable water bottles. Quite honestly with 5 of us, it never seems to be enough. On days where we are heading out, the last moments before departure you will find me frantically filling up reusable bottles with water and then making a mad dash out the door. I'm sure it drives my husband crazy. There has to be a better way to do this, right? Well, there is, and I can't believe it never occurred to me before. Pre-filled, pre-chilled bottles of water! The smart people over at Reduce have come up with the WaterWeek system to make grabbing your bottles of water easy and fast. Reduce makes attractive and innovative eco-friendly products that are designed to help you “reduce” your impact on the environment, also referred to as your “carbon footprint”. Our products help you solve simple everyday problems, with the added intention of doing something good for our environment along the way. 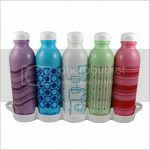 We produce a wide variety of water bottles and accessories, making it easy to ditch the disposables! Reduce WaterWeek, our popular 5-bottle set that comes in a handy frig tray, makes it easy and convenient to grab a chilled water bottle whenever you need it. By not purchasing wasteful disposable water bottles, we save our landfills, use less energy and save hundreds of dollars a year in the process! 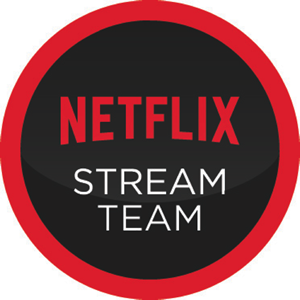 ~ Saves consumers an average of $500 per year! ~ Includes fridge tray that slides neatly into your fridge. ~ Dishwasher and freezer safe. Reduce sent me a WaterWeek set in Naturals to test out. Now these bottles are made of plastic but they are both BPA free and phthalates free. The first thing I did was wash these out since the inside did have a plasticy smell. WaterWeek bottles are dishwasher safe which makes it nice and easy to clean them. If you choose to wash by hand I would recommend using a bottle brush of some sort to get in the narrow neck. Once I had them cleaned and rinsed, I filled them up with water and then put them in the tray and into my fridge. Let me quickly say here that I actually cleaned my refrigerator in order to do this review. I certainly did not want to post pictures of my filthy fridge for the world to see! It has not looked this clean and organized in years! 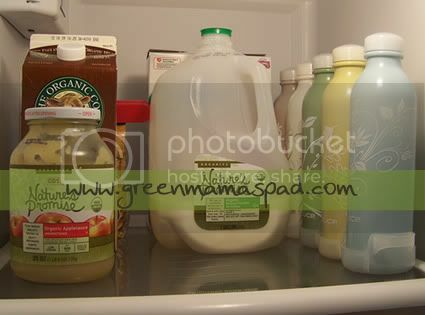 Now the bottles and the tray are nice and slim so they fit very nicely inside the fridge without taking up too much room. There are 5 bottles included in the set; one for every work/school day. Just fill them up on Sunday night and you are good to go for the week. I'm hoping I can get my husband to use these since he is the lone bottled water culprit in our house. 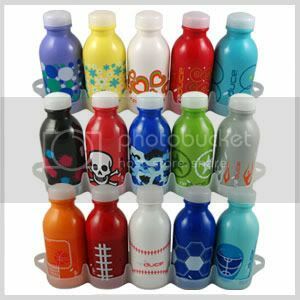 Want smaller bottles to put in your child's lunch box everyday? Try one of the kids' WaterWeek sets! You can purchase Reduce WaterWeek directly on their website or at online retailers such as Amazon.com . Available in multiple colors. Visit the Reduce website and tell me which plastic WaterWeek set you would choose. - Follow GreenMamasPad and Reduce on Twitter and and tweet this giveaway. You can tweet once daily. Leave link to tweet in comment. - Become a fan of Reduce on Facebook. This giveaway is open to US and Canada Residents 18+ only and will end on Friday, November 27th at 11:59pm EST. One winner will be chosen at random using Random.org. Winner has 48 hours to claim his/her prize otherwise a new winner will be picked. You must leave your e-mail address in all of your comment(s) so I can contact you. I will not share your e-mail address with anyone, it will strictly be used to notify you if you win. Good luck! Please note that the opinions and views expressed in this review are my own and based on my personal experience with the product. You may encounter a different experience with this than I did. Reduce provided me with an item for review and is providing the item for the giveaway. Those bottle are so cool and much cheaper than I expected. I love the idea of having them filled and waiting in the fridge for me to just grab and go. I think I'd even pick up some of the stainless steel bottles for that price. I would definitely get the kids set. Two would be even better for my 2 boys! These are super cute! I'd love the shiver color! Great sets, but I am really liking the Naturals one although I would take any of them. I heart the Naturals one! I would pick the Chroma set, love the all different colors! I would choose the Blush plastic Water Week set. I am a facebook fan of Green Mamas Pad. I am a facebook fan of Reduce. Blogger follower and RSS subscriber. fan of Reduce on Facebook@tcarolinep JessieKatie S.
I'd go with the chroma set. Now I'm thirsty, thanks. 1st choice would be Chroma. 2nd would be Shiver. Thanks for the chance! Lovely sponsor. It's hard to choose, but I think the "naturals" set is my favorite! I am an RSS subscriber - Thanks so much! I so need water bottles for me! I've been buying them for my daughter and not thought about myself. I love the WaterWeek Chroma model. I would pick the kids set and the sports theme so both my son and daughter could use them! Thanks for opening this contest up to Canadians too, I'll tell my friends! I love the chroma set! What a good idea to keep them from migrating around the fridge so much! I would choose the Waterweek Naturals. WaterWeek set in PUNCH is my favorite!! I follow you on twitter as coolcanucks! I follow Reduce on twitter as coolcanucks! I like the chroma set. I like the naturals set. Thanks for the chance. I would get waterweek kids! What a great idea. If I won I would choose the waterweek kids set. I'd really like the Naturals set. Thanks for a great giveaway! i like the envy set! I would get the kids set. They are really nice and I love the colors. I would get the pretty Chroma set! Added my Green Mama's Pad button to my blog. Entry #1: Added the Green Holiday Gift Guide button to my blog. Entry #2: Added the Green Holiday Gift Guide button to my blog. I would like the Naturals. I love the Chroma set! I'd choose the Blush set. I would choose the Envy Water Week set. I would choose the Naturals Water Week Set. I am a fan of Reduce on Facebook as Jill Myrick. I like the WaterWeek Kids set. fan of Reduce on Facebook. i love the naturals bottles, thanks for the chance!